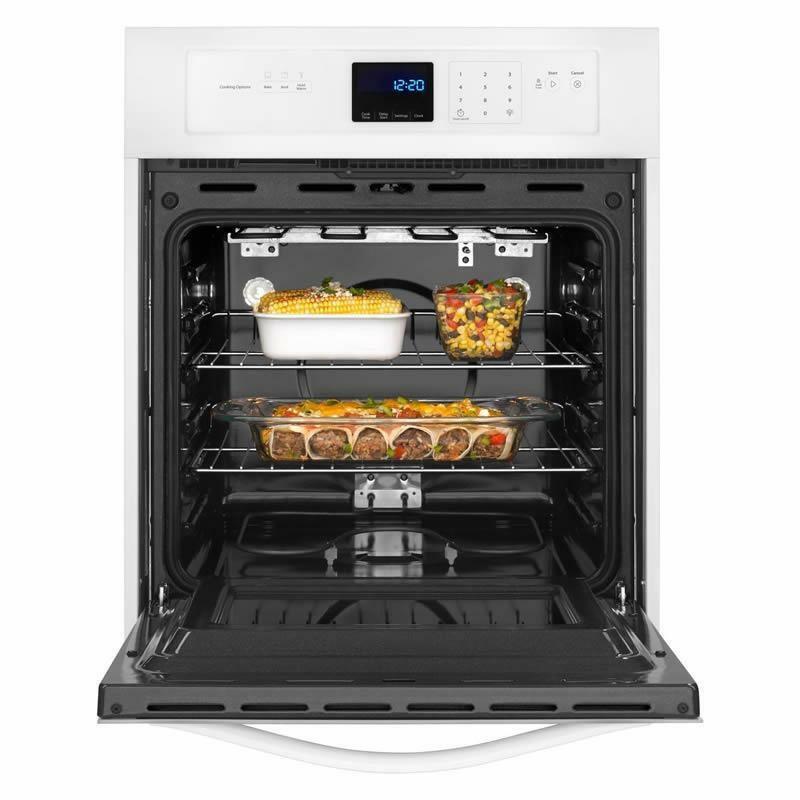 Home cooking doesn't need to be complicated when you're using the convenient features on this Whirlpool® wall oven. 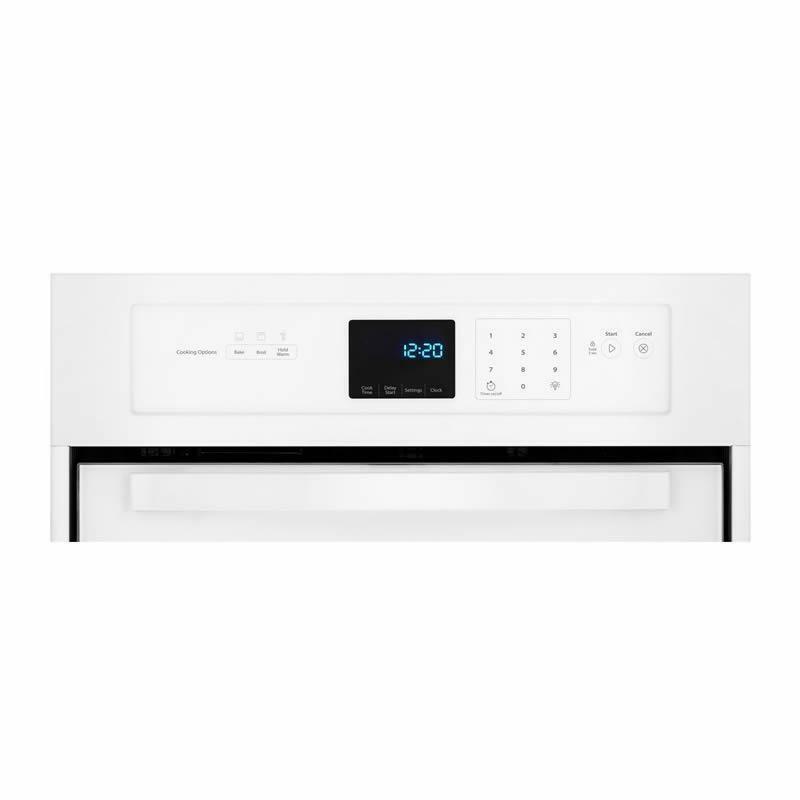 This wall oven delivers evenly baked results with the AccuBake® temperature management system and a streamlined touch control digital display is simple for anyone to use and clean. Two oven lights brighten up the interior so you can see what's cooking. 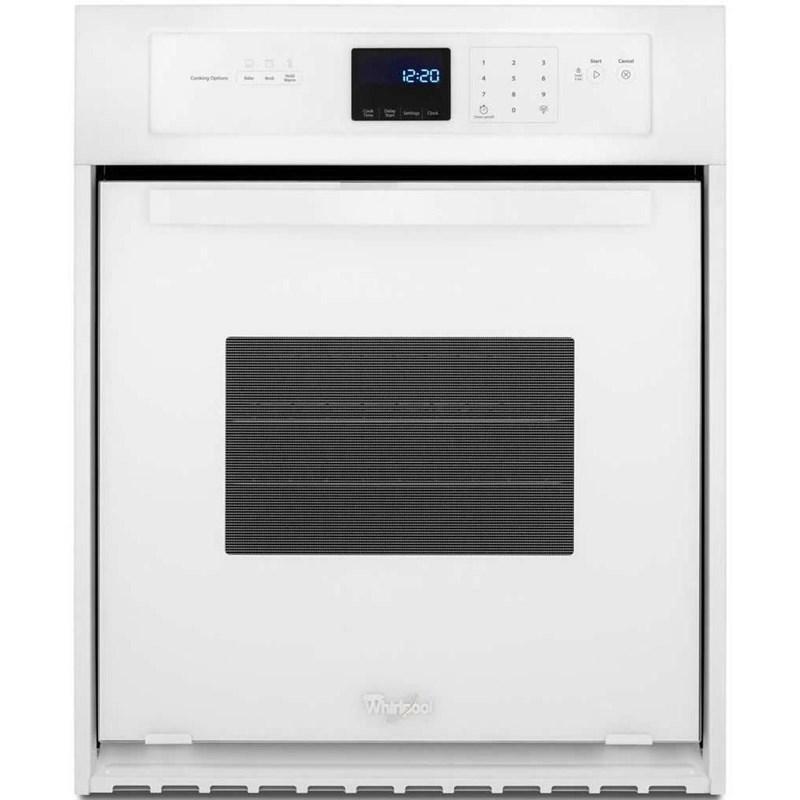 This 24-inch wall oven also features the Keep Warm setting so food stays ready to serve even when mealtime is running just a little late. Total Capacity 3.1 cu. ft. / 0.09 cu. m.
Main Oven Capacity 3.1 cu. ft. / 0.09 cu. m.
Warranty • 1 year limited parts and labor.